For All Chapters, one chapter at a time. Read PMBOK and take extensive Notes – I learn by typing. View Career Academy / Looking Glass Video on that topic, and Integrate Notes. Take Looking Glass Chapter Exam and do Labs. View PM Prepcast while integrating with notes and screen shots of slides I thought were important to learn. Review PM Exam Smartnotes material. Create PDF of all materials total Notes Package for Study. Record Myself reading total Notes for use when Driving. I followed this plan daily, sometimes often all day, if I could manage my schedule to do so. In addition, I listened to the recordings I had made when I traveled. I have never been as bored as when listening to myself, but it really did help. I also did the ITTO spreadsheet and Flash Card games on my Ipad at any spare moment. 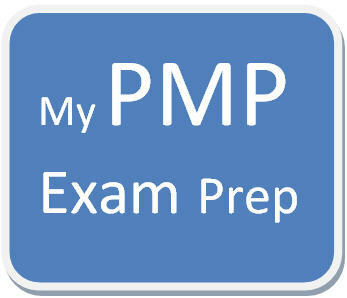 I applied to take the PMP Exam as soon as I finished enough of the Career Academy Course to have the qualifying contact hours. Sometimes they audit your application. I was audited. It turned out to be no problem. More at Recommendations Page. After Covering All Chapters of the PMBOK and Assimilating the materials. Frequent overviews of the materials. Revisited class sections in which I believed I was weakest. Continually typing the ITTO’s in the Worksheet I created. Resource Page. In the Last Month Before the Exam. I took a Practice Exam Test about every other day or so. The simulator allows you to revisit the test. It also allows you to see the stats on the areas where you are weakest. I reviewed the Questions I got right and the ones I got wrong. The simulator also has an explanation of how the questions are answered, I studied those and pursued a solid understanding. I developed my brain dump about 2 weeks before the exam. I folded a sheet of paper by thirds side to side and by fourths top to bottom. This gave me a grid of sorts to work with. After I figured out what I needed to include, I simply practiced writing it over and over again, daily. I had most of it in my head by test day. Resource Page. I allowed over an hour in addition to the time I expected by travel to take. I didn’t want any rushed feeling or pressure to deal with. That gave me time for breakfast and time to review the ITTOs I was struggling with. The testing center was crowded. Prometrics (the vendor PMI uses for the PMP Exam) gives all sorts of tests. There were several people ahead of me to be “processed” before the exam. Paperwork must be verified, and you can take NOTHING with you into the exam. Cells, keys, etc. are left in a locker they provide. You can’t take drink or food into the testing area. I tried to plan my intake to not need the restroom. You can go out, but you have to go back through processing to get back in. They used a security wand and had to show empty pockets and my ankles. Then I was taken to my computer to begin testing. I had the 15 minute tutorial on very basic computer instruction, which I used for my brain dump. They game me 4 pieces of paper. They will give you more, but they take the first 4 when they do. I had plenty of paper, even with my brain dump. Prometrics had me use the Microsoft Calculator you are accustomed to seeing in Windows. I use that all the time, so that was fine, but if you don’t, you might spend some time getting used to it before you go. The test is much like the Prepcast simulator I had been working, so that was helpful. The time flew by for me. I used the “MARK” system several times. I went through the exam to answer everything I could easily and then went back to work the problem areas. I used all but five minutes of my four hours.